According to a folk custom, the male fern’s “hand” must be gathered at the Eve of St. John. The “hand” is made from the stipe bases, to which are left attached the hairy lower parts of the fronds. These are bound with thread and the rest is removed. This hand is then kept as a lucky charm, which is thought to give its owner power over the souls of the dead. The genus name dryopteris contains the Greek words drys, “oak” and pteron, “wing” or “feather”, in reference to the shape of the pinnae. The word pteris was used by the Greeks to refer to any type of fern. The specific epithet filix means “fern” and mas means “male”. Robust in growth, the plant was thought to be the counterpart of the more delicate female fern (Athyrium filix-femina), which later was identified as a species of its own. The wood ferns, also known as buckler ferns, are characterized by their round sori, which are covered by a kidney-shaped indusium. The stipes are scaly and lack hairs. Themale fern develops a stout, slowly creeping root-stock, from which a vase-shaped ring of fronds emerges every spring. The summer-green fronds of the male fern get 30 to 140 cm long. They may stay green throughout the winter time, but will ultimately die back, leaving behind a cleft rhizome, covered with old stipe bases. 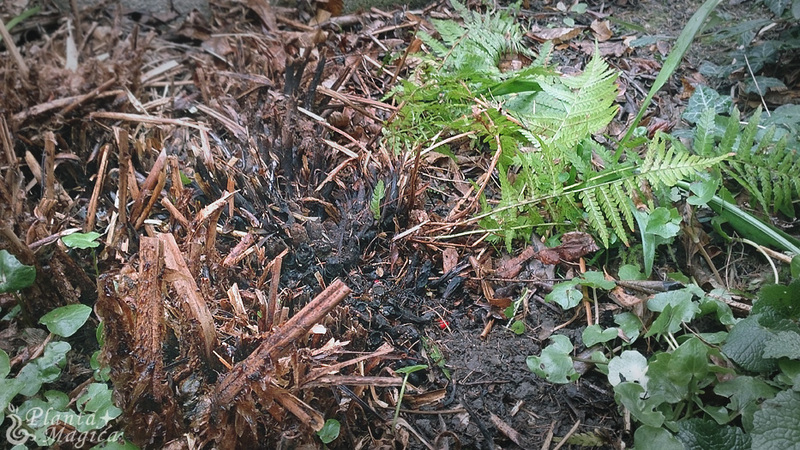 The useful part: the male fern’s stipe bases are green and spongy towards the root center, whereas as the outer (old) parts turn black and rot. Uses: The root has been used until recent times as an anthelminthic to expel tape worms. The glandular hairs contain flavaspidic acid, a Phloroglucinol derivate, which has paralyzing effects on tape worms. Toxicity: The root stock and leaf stalks are deadly poisonous, especially in young plants. Overdosage may result in severe poisoning and death. Related Species: The male fern can be confused with the smaller lady fern (Athyrium filix-femina). The latter is overall more tender in appearance. The fronds are shorter and of a lighter green color. The easiest way to distinguish both species is by the shape of the sori: the sori of male fern are typically round in shape, whereas the sori of the female fern are elongated, comma- or u-shaped.